An award-winning ‘slice of life’ tale about love and loss. By taking a second chance with her first love, will Tara risk losing herself? Looking back, Tara Carter wonders if what followed her first kiss was a warning of things to come. 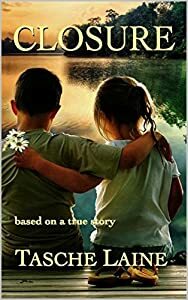 At the tender age of ten, her heart broke when her best friend Trey moved 1,500 miles away. Crossing paths five years later, the two teens exchange beautiful letters that cement their love. They embark on an idealized relationship, despite trauma and heartbreak on both sides, only to be forced apart shortly after. 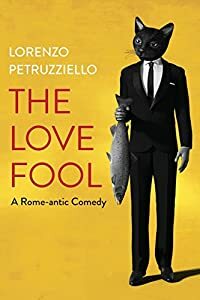 Tara enters college as a single woman and is forced to confront the ugly side of life, losing contact with her first love. As time marches on, she aches to know what could have been… until fate presents her with one last opportunity twenty years later. Will Tara pin her only chance at true love on her first love, or will she finally understand that self-esteem comes from within? Closure is a moving, award-winning fictional memoir based on a true story. If you like courageous women, raw emotions, and real-life issues, then you’ll love Tasche Laine’s ‘slice of life’ tale. Buy Closure to discover one woman’s journey of love and loss today! Winner of National Indie Excellence Award. Silver Medal in Reader's Favorite International Book Award Contest. What does it take to win a Nobel Prize? Deceit? Fraud? Maybe even murder? When she finds a drug that has the potential to treat Alzheimer's disease, Pam Weller is certain she's made the discovery of a lifetime. But her success threatens the supremacy of Eric Prescott, a leading figure in Alzheimer's research, who sees his chances at a Nobel Prize slipping through his fingers. 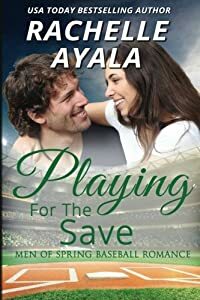 His lust for the prize and the accolades that come with it drive him to concoct a plot against Pam that threatens her career, her freedom, and even her life. 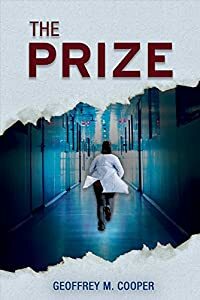 In a fast-paced medical thriller, The Prize explores the human side of science and drug discovery, exposing the pressures and ambitions that can drive the betrayal of scientific ethics and lead to fraud in medical research. Mac Anderson holds life in the palm of his hand. He has a beautiful wife, three loving children, a comfortable home, and a successful career. Everything is perfect―or so it seems. Tragically, Mac is destined to learn that any sense of security can quickly prove false. Because an invisible enemy called Post Traumatic Stress Disorder has invaded Mac's fragile mind and it is about to drop him to his knees. He does all he can to conceal his inner chaos, but to no avail. 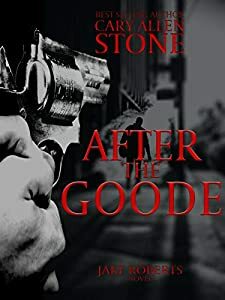 Left to contend with ignorance, an insensitive justice system, and the struggles of an invisible disease, he loses everything―most importantly his family. One shoebox might store an old pair of sneakers. Two shoeboxes might contain a lifetime of photographs. 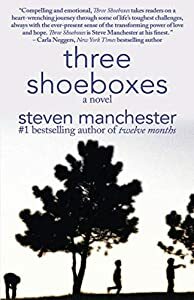 But in Three Shoeboxes, a father's undying love may be just enough to make things right again. Noise and chaos is all single mother Jamie Rush knows. Taking care of her two boys is a full-time job, especially since one of them is autistic and she gets no help from her ex-husband. Middle-aged brothers Jason and Tom Prendergast thought they were completely done with each other. Perceived betrayal had burned the bridge between them, tossing them into the icy river of estrangement. 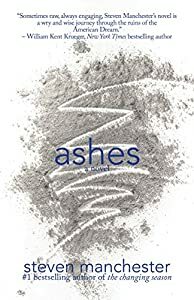 But life – and death – has a robust sense of irony, and when they learn that their cruel father has died and made his final request that they travel together across the country to spread his ashes, they have no choice but to spend a long, long car trip in each other's company. It's either that or lose out on the contents of the envelope he's left with his lawyer. The trip will be as gut-wrenching as each expects it to be . . . and revealing in ways neither of them is prepared for. Terrorism, born in Africa, comes to America, and Homeland Security must protect its citizens. Poison Heartbeats is a love story, a war-torn romance, written like a thriller. 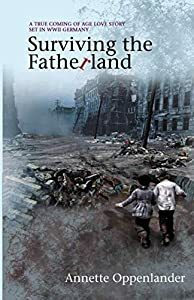 The book follows the life of a girl born in Afghanistan during the Russian occupation, before the fall of the Berlin Wall. She becomes a U.S. citizen because a CIA operative adopts her and brings her to America, renaming her Holly Smolkes. 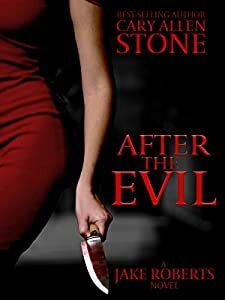 A beautiful but seriously flawed woman, she falls in love with the director of Homeland Security’s “Poison Well” unit, a group designed to stop terrorists who want to poison the water supply of the United States. Holly Smolkes has a twin brother, left behind in Afghanistan when she was eight years old. He has become a leader of the terrorists. 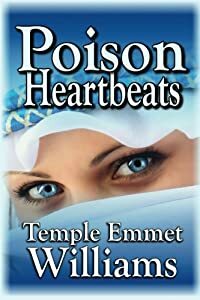 "Poison Heartbeats" is the second, and most-awarded novel in the Heartbeat Series of mystery thrillers by Temple Emmet Williams. The first was "Wrinkled Heartbeats," chosen as one of the best first novels (under 80,000 words) at the 2016 Next Generation Indie Book Awards.